I had a Chilean friend who laughed and declared, “Only White people need a recipe for guacamole.” It makes me laugh to remember this absurd kitchen exchange, and I like to laugh when remembering her. I first shared the post you see below in January of 2016, and am sharing it again in her memory. See you on the other side, my friend. If you don’t have a friend like Pilar, you don’t know what you’re missing! Pilar is the type of girlfriend with whom you can have a serious, soul-searching conversation one day, and know she’ll never break a confidence. The very next day, you might find Pilar wearing a tiara while mixing blue cocktails never-before-enjoyed by anyone over the age of 21 (and somehow, she won’t look ridiculous). Pilar keeps her friends guessing – and laughing – and isn’t that what makes life fun? This is Pilar’s Spinach Noodle Casserole recipe. Like Pilar, it is fabulous. Enjoy! Step 1) Sauté onion and garlic in butter until golden. Add frozen spinach and cook until thawed. Allow excess liquid to cook off of spinach mixture. Step 3) Add spinach mixture, sour cream, and cottage cheese to the cooked noodles. Stir gently and ladle into a greased casserole dish. Step 4) Sprinkle with bread crumbs and parmesan cheese. As Pilar says, “Bake at 350 degrees until golden, eat until you are full.” I baked this Spinach Noodle Casserole for approximately 20 minutes. 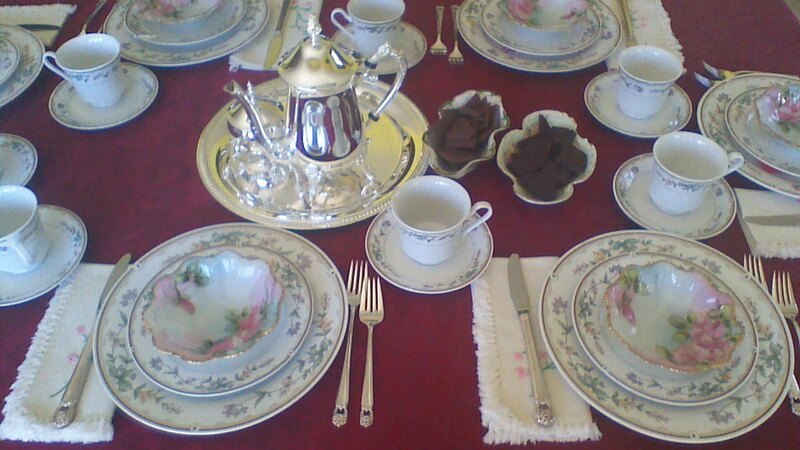 Recently, I hosted a Springtime Tea Party. It was great fun! If you have a few friends you haven’t seen in a while (don’t we all? ), consider inviting them over for a simple tea. Here are a few suggestions! First, don’t worry about being matchy-matchy. I used an inexpensive tablecloth to cover an old, scratched up kitchen table. It looked juuussst fine, and didn’t require a big investment. My little fruit bowls are completely different from my plates, and yet they worked together nicely. Those little dishes of chocolate? Mismatched! The napkins? Borrowed from my mother! You get the idea. Second, if you don’t want to cook from scratch, don’t. Boil a pot of water, and steep a pot of tea! Offer cream and sugar on the side. Break one or two high-quality chocolate bars into bite size pieces, and arrange the pieces in a small serving dish. Layer a few cups of berries in a pretty bowl. Drizzle with honey or maple syrup. Purchase a tray of cookies or scones. My local Aldi offers a surprising variety of delicious cookies at very reasonable prices! Thinly slice a loaf of artisan bread from your local bakery. 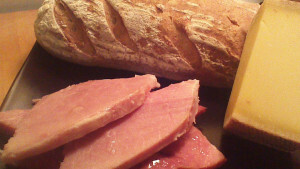 Spread each slice with butter or cream cheese, and top with thin slices of cucumber or prosciutto. Delicious! 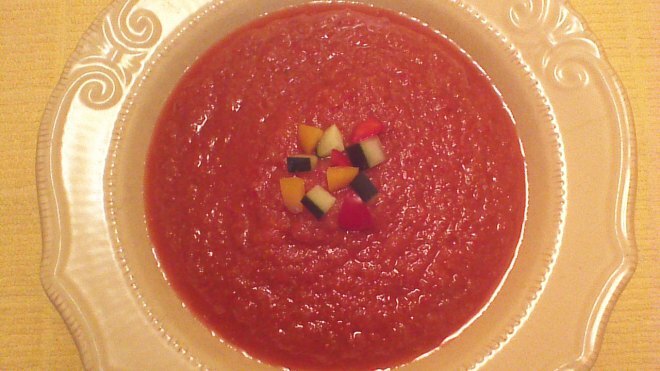 Springtime Gazpacho served in little tea cups makes a lovely chilled starter! Mini Croque Monsieurs make lovely tea sandwiches! 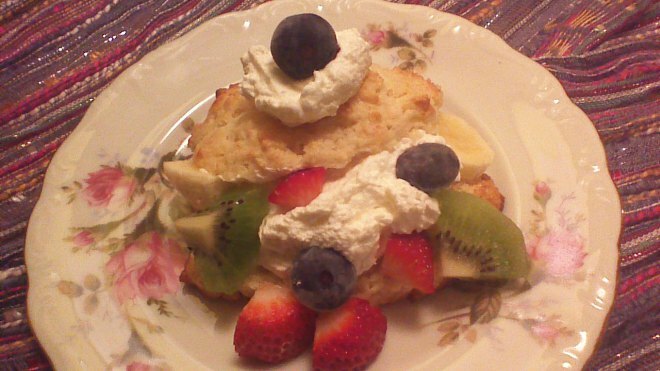 Rainbow Shortcake makes a beautiful, individually plated dessert! Life is short. Enjoy your friends! Candy making doesn’t need to be complicated. Today’s recipe is super easy! You don’t need any special equipment – no candy thermometers, tempering surfaces, molds, tubes, brushes… none of that. If you have a pot and a mini muffin tin, you have all of the equipment you need to get started. If you want – but this is entirely optional – you could use an inexpensive plastic candy mold instead of (or in addition to) a mini muffin tin. The molds shown here were purchased for about $2 each at a local craft store. I purchased them simply to test them alongside a mini muffin tin, and I can confirm – the mini muffin tin works just as well. If anything, the muffin tin is a bit easier to work with, because the larger size is easier to coat evenly with chocolate. I spent about an hour making the plate of Chocolate Orange Cremes shown above. They are delicious – it was time well spent! Step 1) Melt chocolate. You can microwave chocolate coating to melt, just make sure to stop the microwave every 30 seconds to stir. I melted my milk chocolate coating in a double boiler, and melted a small quantity of orange-colored Wilton Candy Melts (to drizzle over candies) in the microwave. 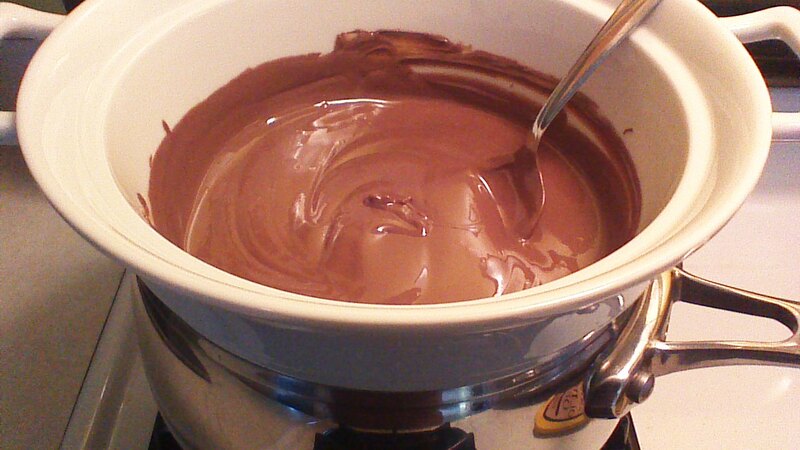 It really doesn’t matter how you melt your chocolate, just stir frequently and don’t burn it. Step 2) Fill mini muffin tins or candy molds about 1/3 full with melted chocolate, and use a small spoon (a baby spoon works well) to push the chocolate up the sides of the tin/mold to coat the surfaces. Don’t worry, this is easy. Step 3) Place coated tins/molds in the refrigerator for at least 10 minutes. 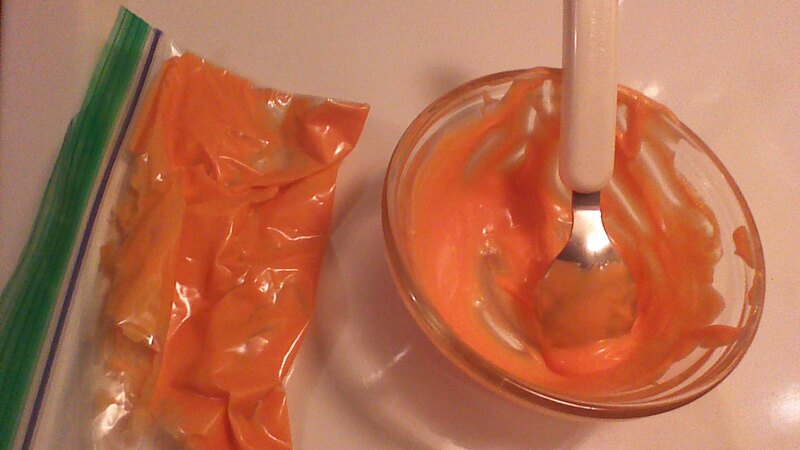 Step 4) While tins are cooling, beat together cream cheese and orange juice concentrate with an electric mixer. Add powdered sugar, 1/2 cup at a time, and beat until smooth. Step 5) Remove tins from the refrigerator. Use a small spoon to fill each chocolate lined tin about 3/4 full with orange creme filling. Important – do not spread the orange creme filling right up to the top of the mold, especially along the edges! Just fill the molds 3/4 full. Return the tin/mold to the refrigerator for another 5 – 10 minutes. 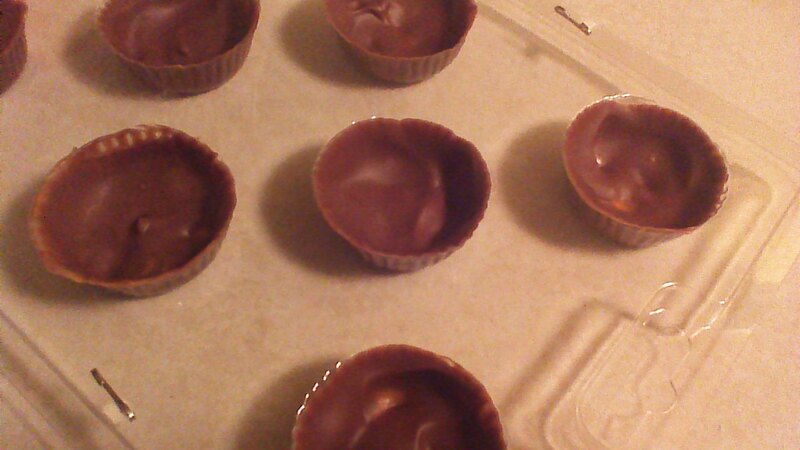 Step 6) Remove tins from the refrigerator and spoon melted chocolate evenly over the top of the filling. It’s important to form a “chocolate seal” between the top and the side edges. 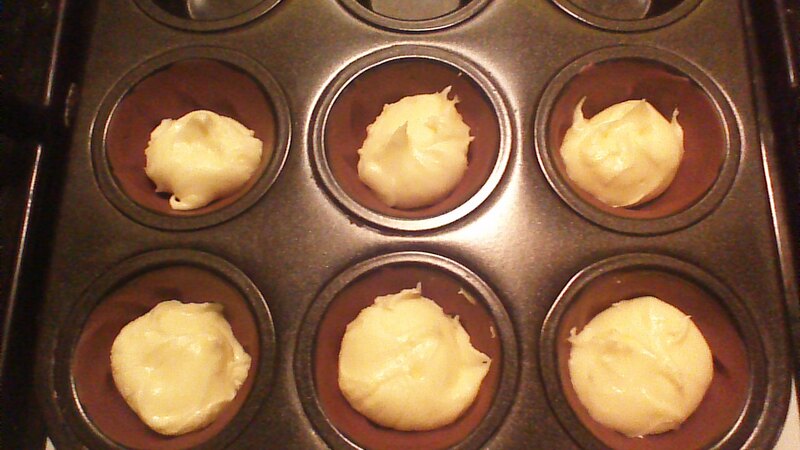 Step 7) Return filled molds to the refrigerator until chocolate is firm and looks a bit cloudy. 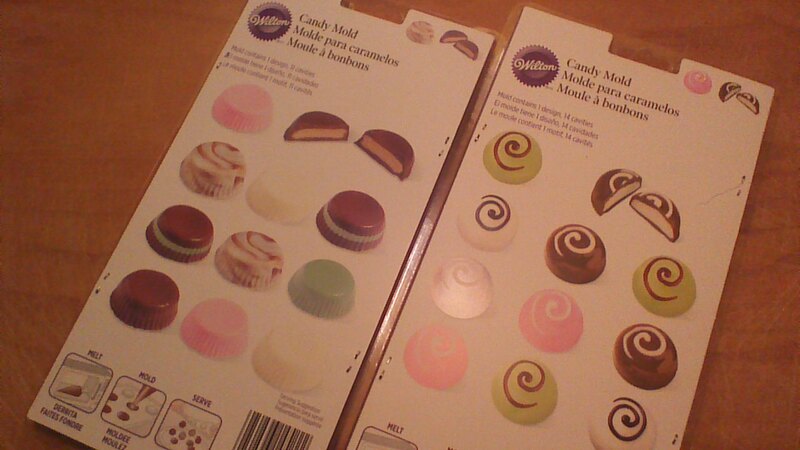 To remove cooled Chocolate Orange Cremes from their molds/tins, simply turn the molds upside down and wiggle the candies a bit. They’ll pop right out! 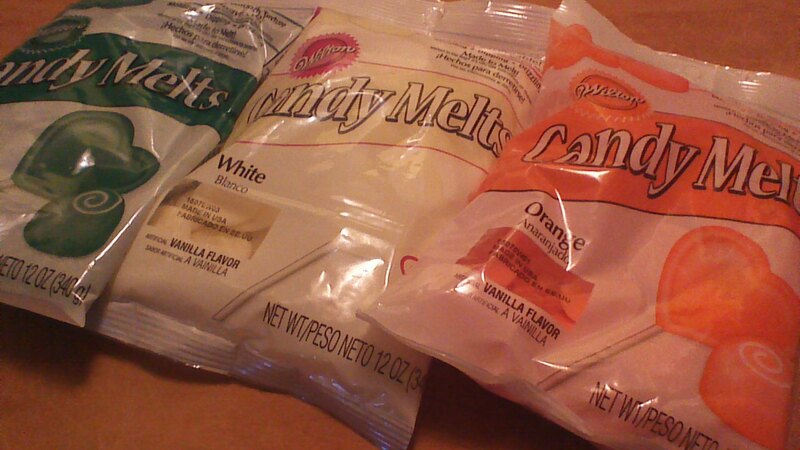 Step 8) If desired, melt a small quantity (about 1/4 cup) of candy melts in an accent color (I used orange). Pour melted chocolate into a small zip-lock bag and cut a very small corner off of the bag. Use this homemade pastry bag to decorate your Chocolate Orange Cremes! This is a classic recipe without any weird ingredients. It’s a perfect soup to ladle into quart-size containers and leave on the doorsteps of loved ones who are either fighting an illness or just need a little rest and relaxation. I recommend delivering this soup with a loaf of homemade bread. Alternatively, consider adding rice or noodles just before serving. 6 carrots, peeled and sliced 1/4 inch thick *SAVE PEELS! 1/2 large onion, peeled and diced *SAVE PEELS! 1 cup green beans, sliced into 1 inch pieces *SAVE TRIMMED ENDS! Step 1) Pull apart rotisserie chicken. Shred meat into bite size pieces, cover, and refrigerate. Step 2) Place bones and skin in a large pot along with carrot peels, onion peels, and green bean ends. Add 2 quarts of water and bring to a boil. Cover and simmer for one hour. Step 4) Pour contents of pot through a strainer, catching the liquid in the second pot with the onion and butter. Voila! Free chicken broth! Discard strained bones, etc. and keep the broth. Step 6) Add shredded chicken and sliced greens to the pot. Season with salt and pepper. Don’t get carried away with the salt… it’s easier to add more than it is to take it back! Heat through and serve with your favorite bread. Brandied Raisin Pumpkin Bread is an easy to make quick bread (meaning it does not contain yeast) perfect for sharing with friends. I like to make several loaves at a time and deliver them fresh from the oven! This bread also freezes well, and is tasty in bagged lunches. Step 1) Place raisins and brandy in a microwave safe container. Microwave, loosely covered, for about 30 seconds or until brandy is hot. Leave covered and allow to cool. This will plump up the raisins and infuse them with brandy flavor. Step 2) Whisk together eggs, pumpkin, and sugars. Add milk, oil, applesauce, and spices. Step 3) Stir in flour, baking powder, baking soda, and salt. 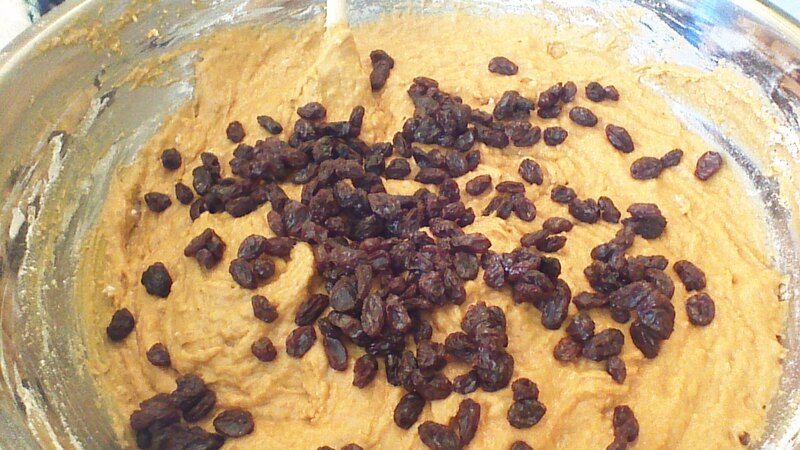 When flour is fully incorporated, fold in brandy-soaked raisins (add everything; don’t drain the raisins). Step 4) Transfer batter to a greased bread pan. Bake at 350 degrees for 55 minutes or until a toothpick inserted near the center comes out clean. Cool on a wire rack.